How to Use Touch ID as Home Button in iOS 8 – Virtual Home: Touch ID is one of the amazing feature yet one of the controversial one in iPhones. But, whatever be the controversy, iOS users are seen more dependent on Touch ID rather than the Home button. Assume you have an application launched on your iPhone 6 or iPhone 5s device but you want to go back to the Home screen. In that case, you need to press the Home button to point the Touch ID that you want to go back. But, once you are used to Touch ID, it is hard to use Home button. Also Read: 5 Best Apps in iOS to take Selfie and edit Pics in iPhone & iPad – Free. The story of above paragraph is an old chapter today. Since the release of Virtual Home – the first ever jailbreak tweak released for Touch ID, one can easily use iPhone’s Touch ID as the Home button. So, instead of using the button, you can simply touch it to access the Home button. Though, not many people are aware about this tweak, so I’m gonna teach you How to Use Touch ID as Home Button in iOS 8 via Virtual Home. Step 1: Please do keep in mind that you must have a jailbroken iPhone for installing Virtual Home to Use Touch ID as Home Button in iOS 8. Step 3: Now, search for Virtual Home at search bar. Step 4: Then, install it in your iPhone device. Step 5: Once the installation completes, go to Settings. Step 6: Now, go to Virtual Home settings. Step 7: Here, change the settings as per your need . That’s it. You’re done. 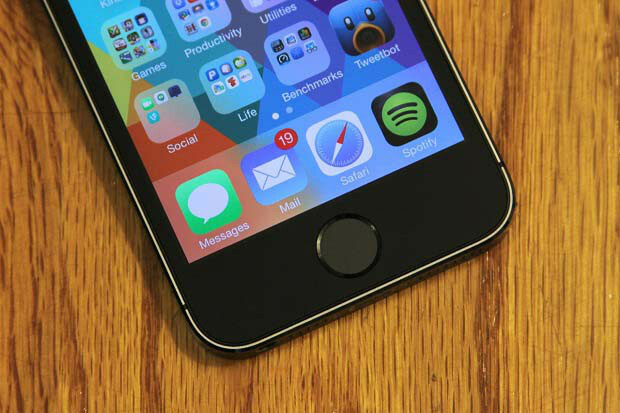 You would be now able to Use Touch ID as Home Button in iOS 8 via Virtual Home. Also Read: Best theme launchers to convert android into ios. 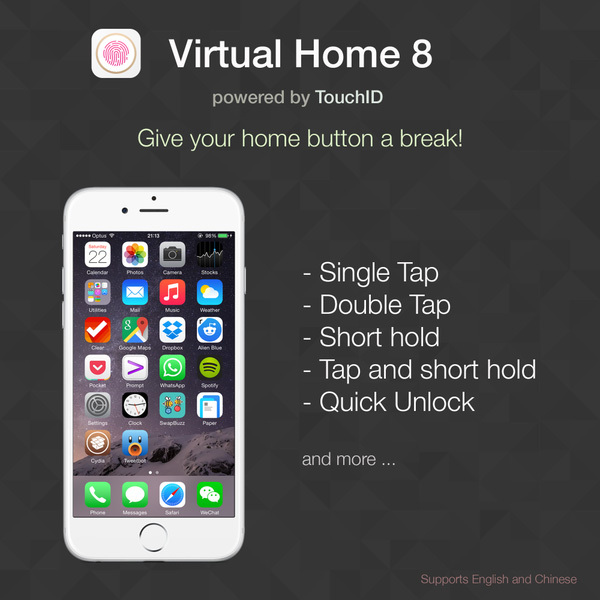 This tweak, Virtual Home, is an ideal option for iPhone 5s users and iPhone 6 users who do not prefer to use Home button. It is also a great option for those who have always wanted a capacitive button that can be seen on devices of other companies. Needless to say that the Virtual Home tweak would only work on iPhone 5s and iPhone 6, not unless the next imodel comes into market. Previous articleDownload & install Gangster Vegas for pc | Windows and Mac. Next articleBest RPG games for ipad mini, ipad air and ipad.